LG has announced its new Android smartphone called LG Optimus L9. Optimus L9 has 4.7-inch IPS display, 1 GHz Dual Core Processor, 1 GB of RAM, 5 MP rear and VGA front camera. L9 runs on Android 4.0 Ice Cream Sandwich. The Optimus L9 also has premium 9.1mm thin body with a slimming metallic streak that offers a comfortable grip. The high-density 2,150mAh SiO+ battery allows users to enjoy the various new UX features all day long with maximized performance while retaining its incredibly sleek design. The Optimus L9 comes with new UX features such as the QTranslator, My Style keypad and QMemo. The QTranslator function instantly translates entire sentences and phrases with a simple scan from nearly 64 user languages. The QTranslator uses Optical Character Recognition (OCR) technology, which recognizes letters upon scanning with the camera and utilizes electronic dictionary or online translation engine to translate words, sentences or phrases. The My Style Keypad is uniquely keyboard features I’ve seen in smartphones, it adjusts the key formation according to whether the user is texting with one hand or two hands. 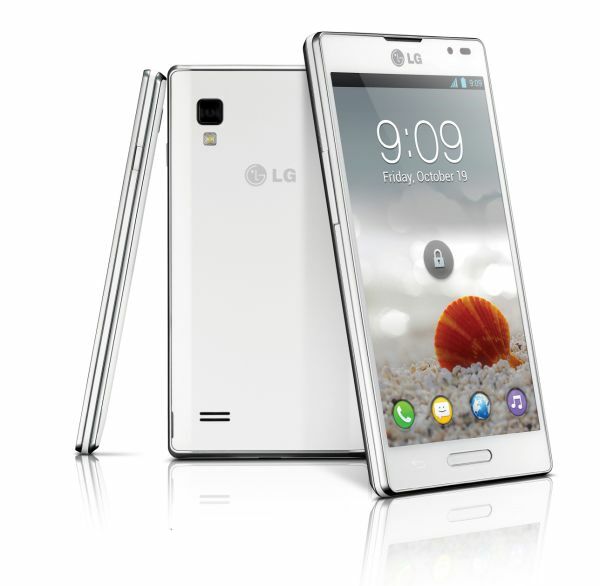 The LG Optimus L9 will be available in 40 countries in Europe, Asia, North America and Latin America starting from September.